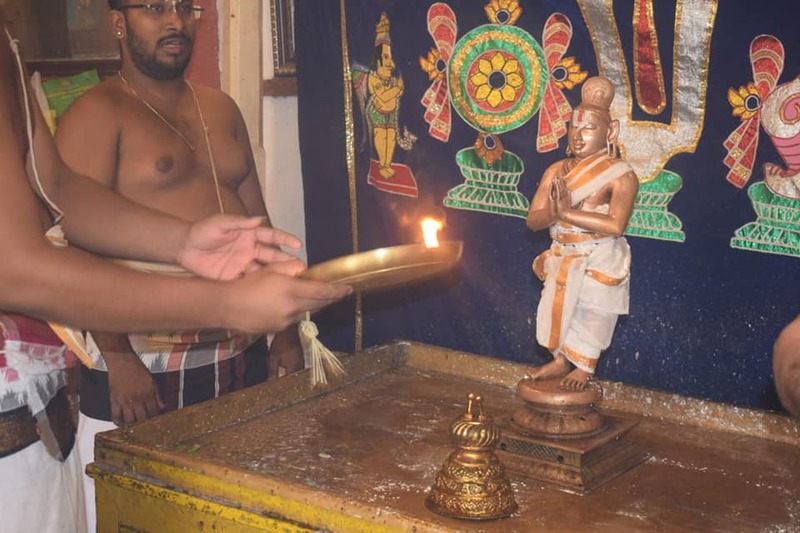 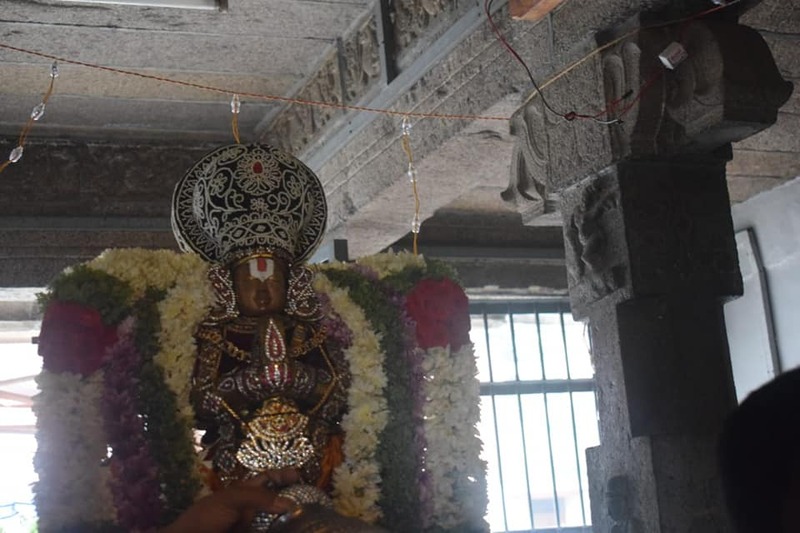 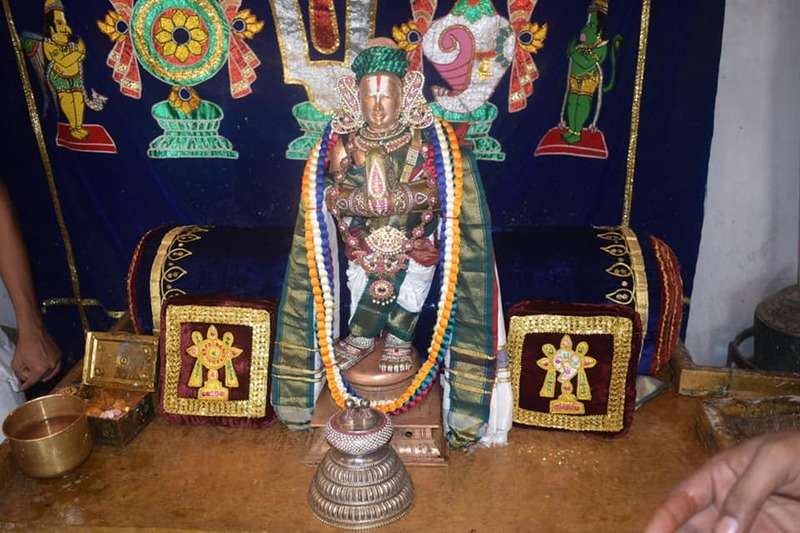 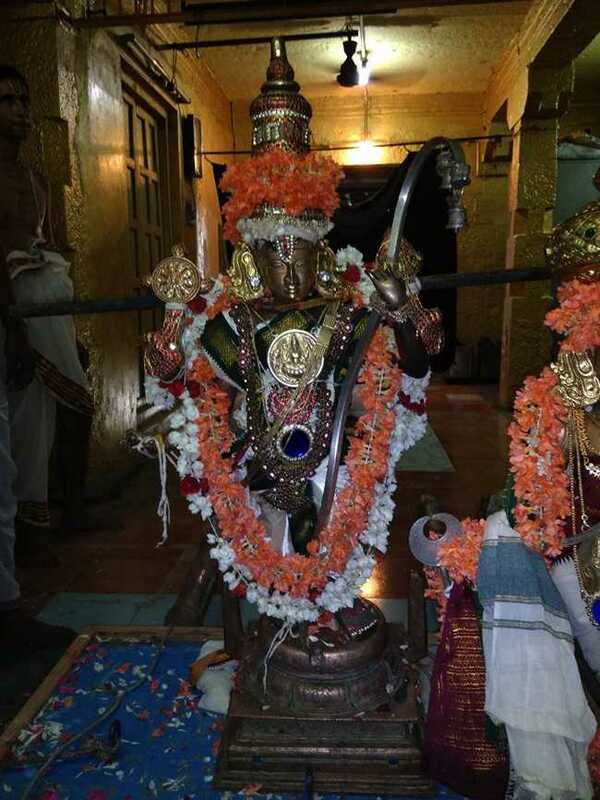 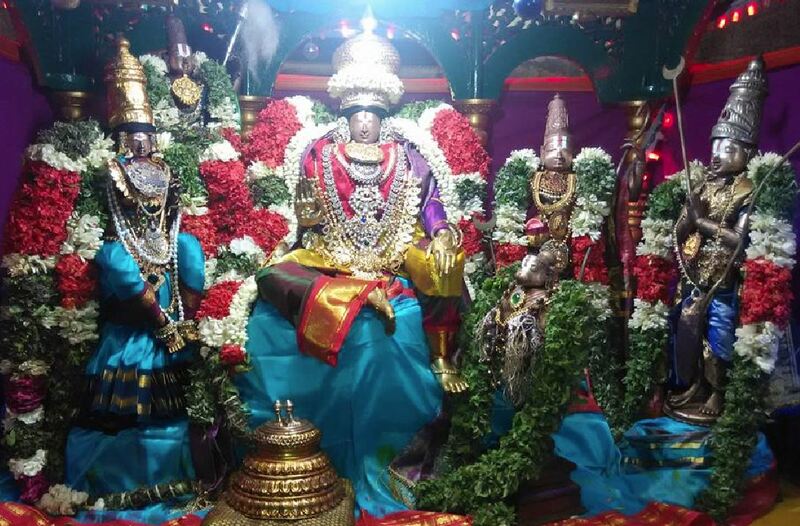 On 20th October 2018 (SriVilambi Aippasi Sadayam), being the birth nakshatram of Peyazhwar; special Thirumanjanam and Thirumankappu took place at Mylapore Sri Madhava Perumal Temple. 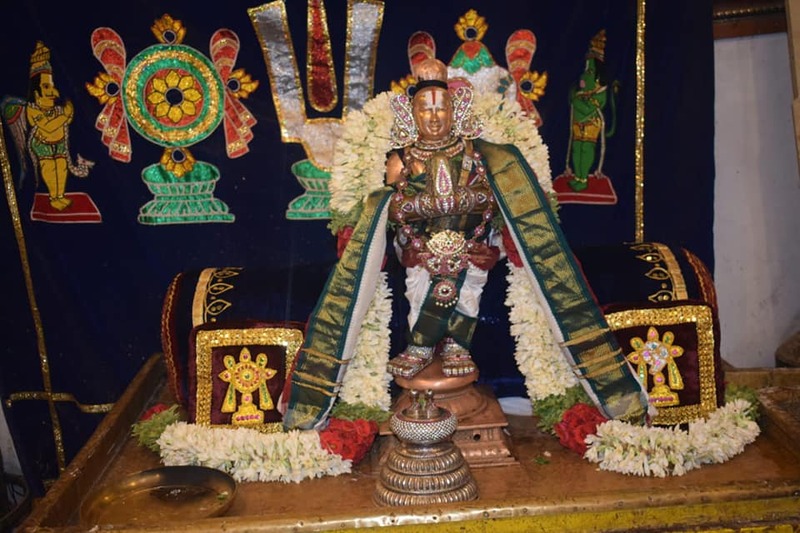 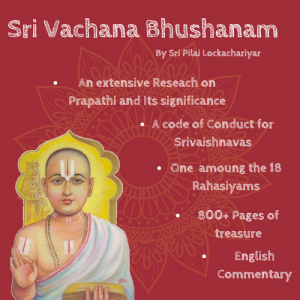 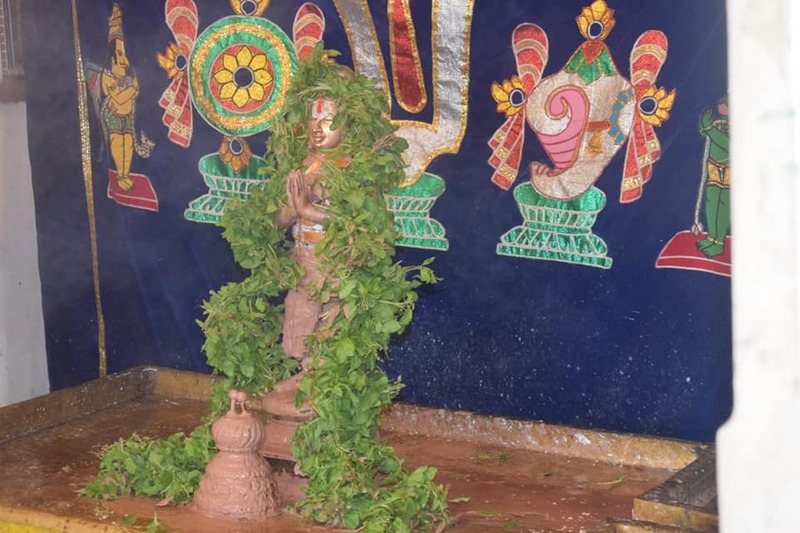 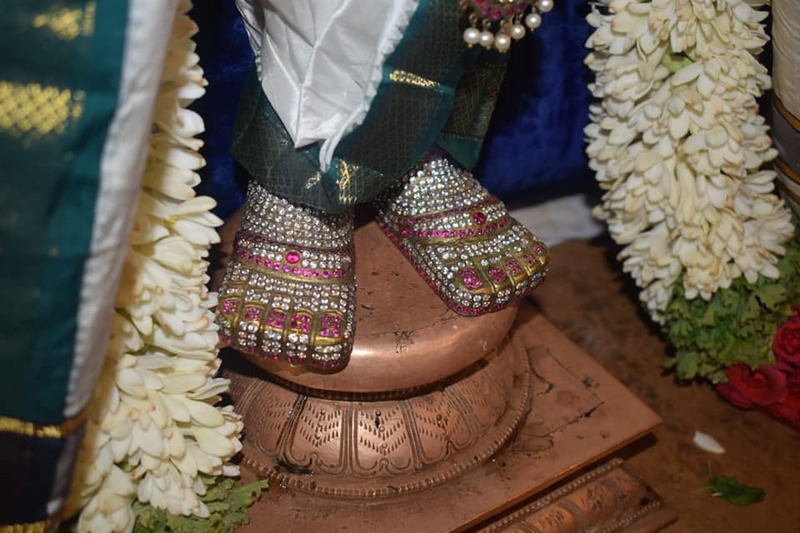 The avathara utsavam was celebrated for 10 days in the temple culminating into the Azhwar’s nakshatram on Day 10. 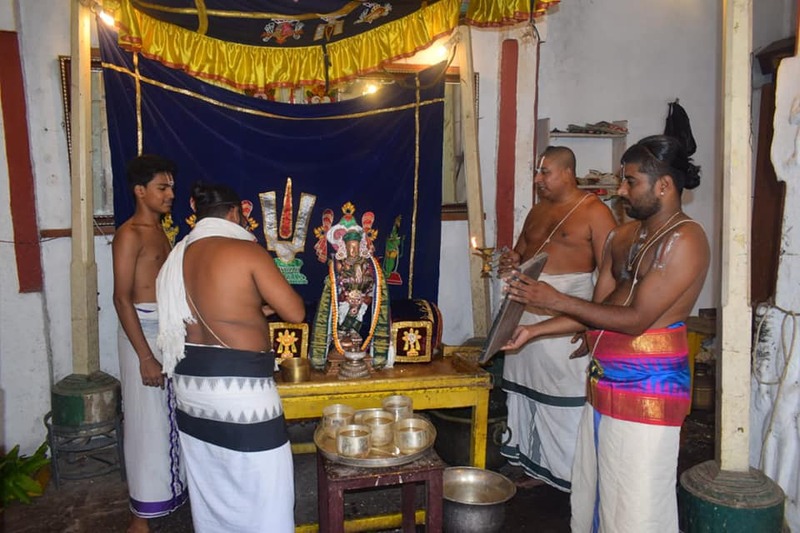 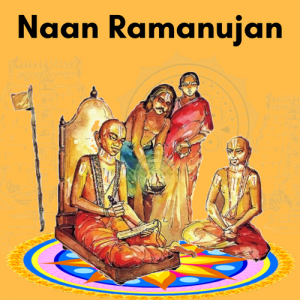 On the occasion, Peyazhwar, the last of the mudhal azhwars, had a Thirumanjanam with holy water followed by sandal, milk, rose water etc..,. 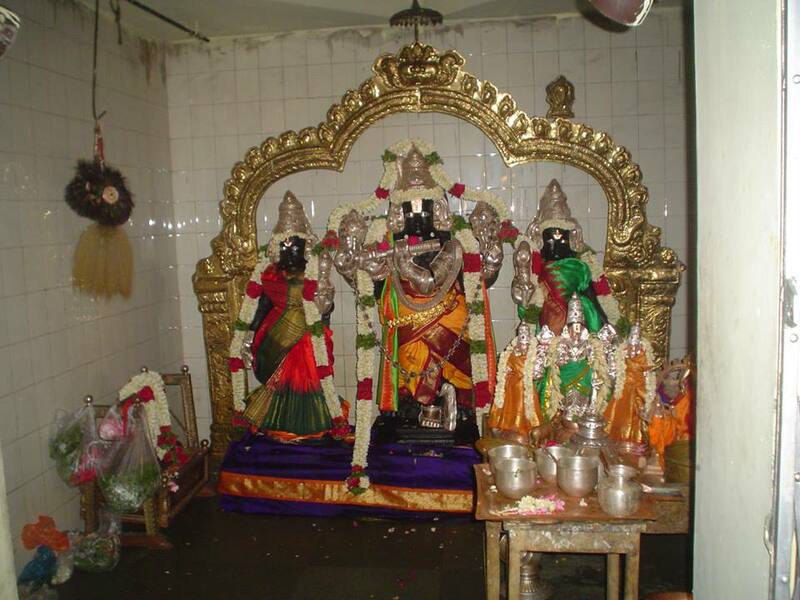 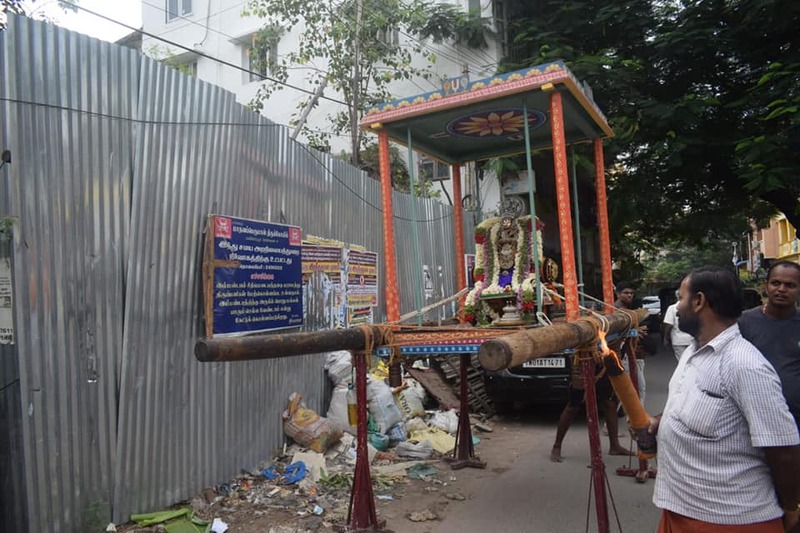 Alankaram and Thirumankappu sattrudal took place thereafter. 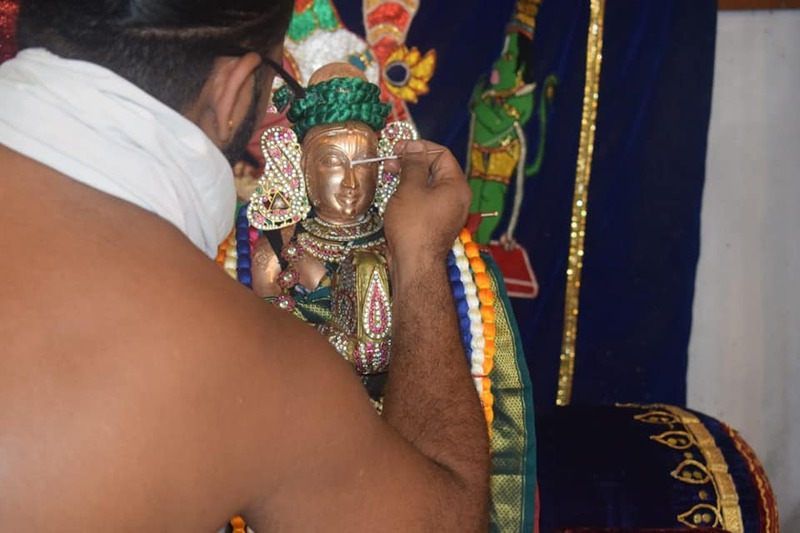 Peyazhwar had purappadu on the occasion. 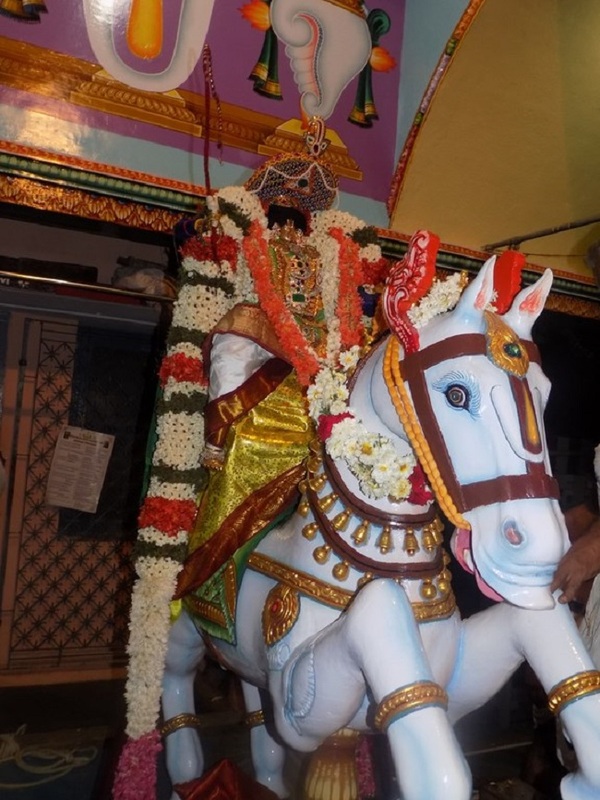 Several astikas participated and had the blessings of Peyazhwar.